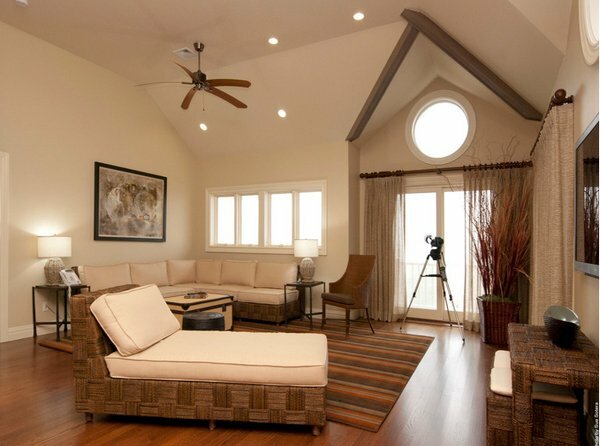 The use of whites with earth color undertones, along with natural materials create an organic feel in any room. 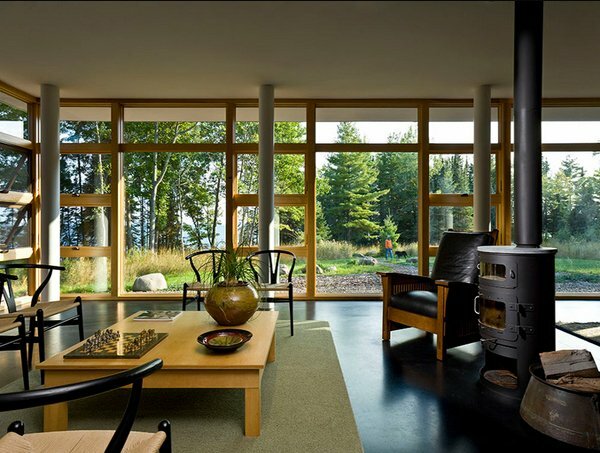 Today, we will be seeing 15 Fabulous Natural Living Room Designs wherein we can see and sort of feel that these rooms are very warm and pretty much inviting. Using these natural tones creates a welcoming aura to anyone who will be in them. You will be seeing contrasting wood trimmings that accentuated the rooms we have below. 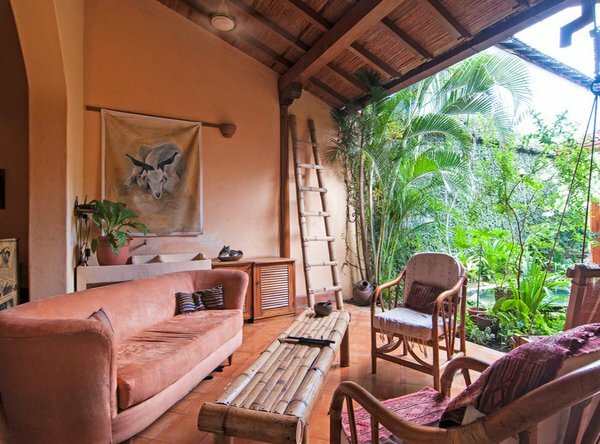 Some photos include decorations with a wooden feel or materials related to wood like rattan and would include decors or other materials with earth tone for a more natural feel to the room. Colorful pillowcases, wooden coffee tables adds charm to our 15 Fabulous Living Room Natural Designs. Skylights flood the living room with natural light. 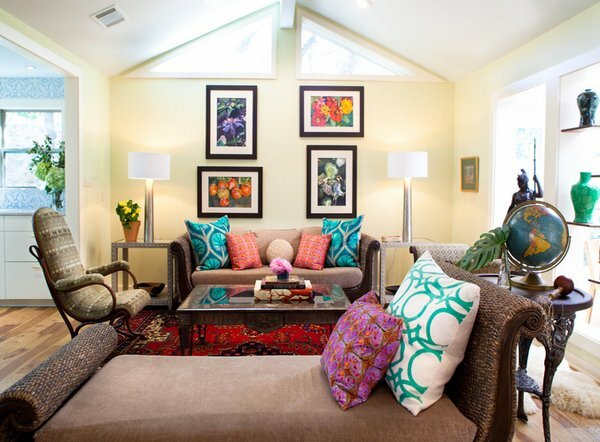 Colorful pillows, artwork and warm colors create a cozy sitting area for the family. 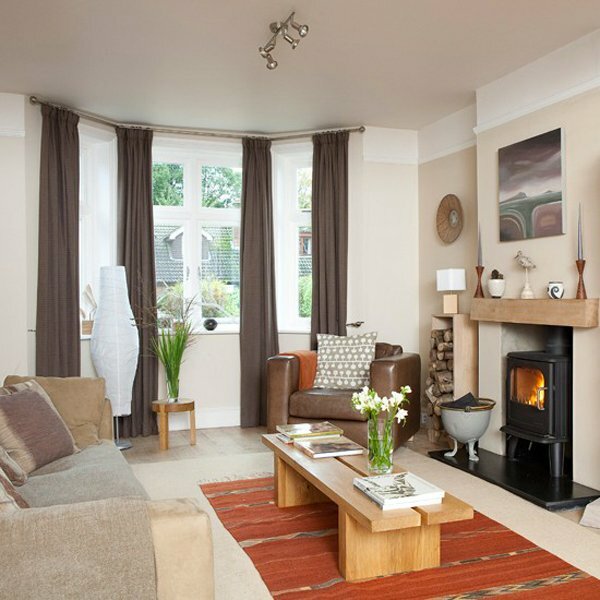 Chalky pastels work well with natural weaves in this classic living room. Pale walls, a white dining set and painted floorboards with a backdrop of the outdoors. The use of light colored wood and natural tones gives this living room a colonial feel. The shuttered screen, used as a flexible way of demarcating a space, the beautiful woven sofa and the dark sofa all help achieve this effect. 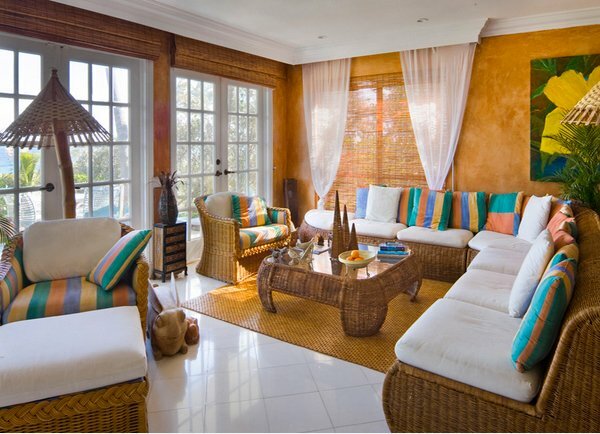 All this earth-toned colored walls, furniture and decor are evidently stunning for an outdoor feel. The console on the background is ideal for keeping striking ornaments on display. Cool and sophisticated, mid grey is a great foil for warm, grainy wood finishes. 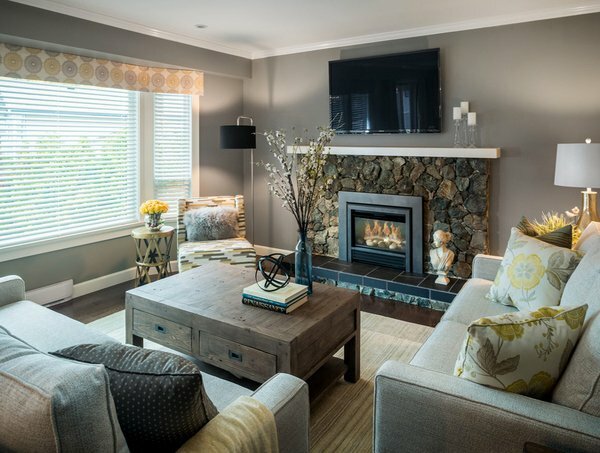 Despite being simple, this box fireplace surround, filled with chopped logs, is an eye-catching focal point. Choose a calm color scheme of browns and tans for your living room, and open up the space with great window treatment that opens to the outdoors. A comfortable place for cozying up to watch TV, or for entertaining family & friends. We are definitely loving the colors and the vibe in this space. Cool and sophisticated, creams and grainy wood finishes. Despite being simple, this pretty New York living room is an eye-catching space. 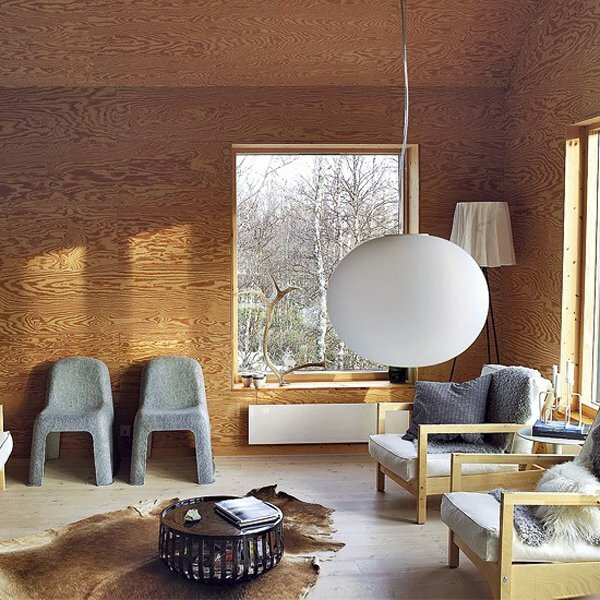 Grey furnishings create a cool contrast to the plywood walls and lye-treated floor of this living room, combining natural materials with modern design. 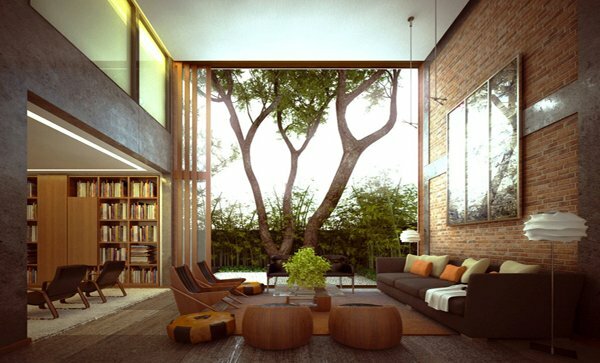 This living room has a warm, natural feel to it, thanks to the rich tones of brown, red and caramel, and the use of different wood types. These recent retirees needed a casual living room for everyday use and to handle the wear and tear of grandchildren. They also wanted a sophisticated environment to reflect this point in their lives and to have a welcoming atmosphere for guests. Silicon Valley family home with tall and open steel windows where every room opens into the large beautiful gardens. Contemporary detailing with flush millwork, simple elegant furnishings, bronze tables, odegard rugs, pressed concrete fireplace. 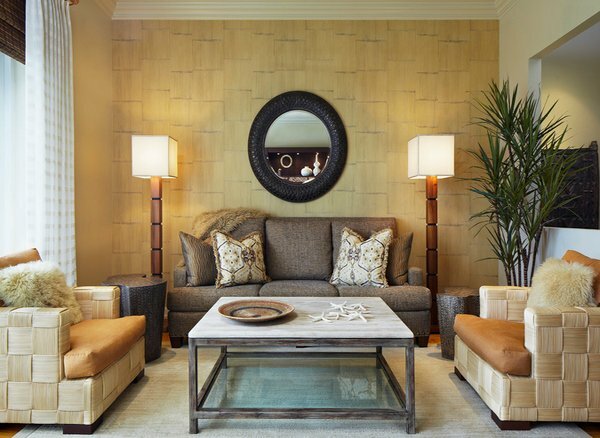 Create two distinct areas with a clever layout, but link the two by choosing furniture in matching woods and using the same chocolate and brown color scheme throughout the space. Stone creates a warm backdrop to this pared-down classic yet eclectic scheme that is rich in texture. Choose natural flooring for a laid-back feel. For a natural, earthy look, combine neutral walls with dark woods. The sisal rug and lovely ottoman complement each other and are perfectly matched by a stunning stand lamp. 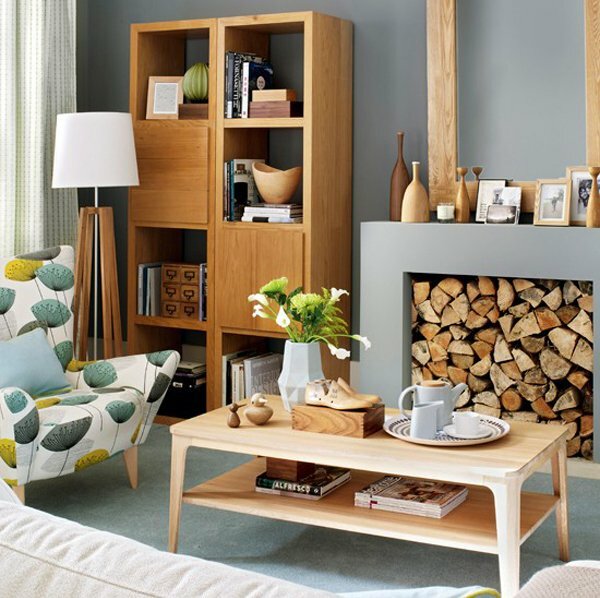 In general, we can definitely say for sure that the 20 Fabulous Living Room Natural Designs we have above were stunning examples of living spaces that can withstand any season or fad because believe it or not, wood is a wonderful material that goes with anything. 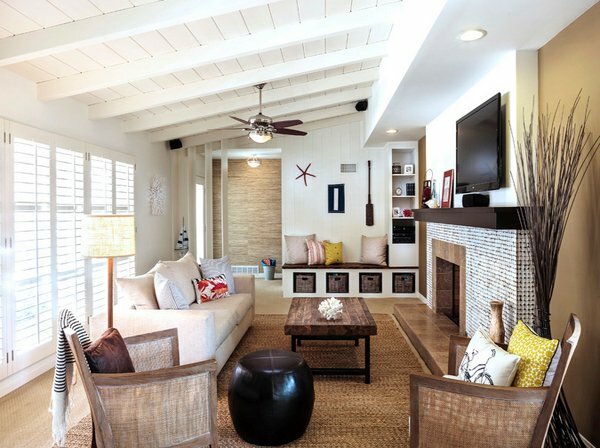 Check out our list of relaxing brown and tan living room designs and tell us that you actually agree. Have a happy weekend guys!